FAQ´s to hardware ProgRes® camera. Whom should I ask for technical support? What is the delivery address for repair shipments? To download the shipping form for the return, click here. Which repair procedure has to be considered? Please write a short error description to speed up the inspection phase (and in conclusion the hole repair period)! Your camera will be repaired and returned free of charge. In urgent cases a replacement / loan camera is available on request. After inspection of your camera, we’ll give you an estimate of repair costs. After we’ve got your approval, we’ll repair, return and bill to you. If you make your decision against a repair, we have to charge you with 90,- Euro for inspection / test efforts. After your approval/confirmation we need max 5 working days for the repair of the camera. Which system requirements does Jenoptik recommend? Jenoptik recommends the following system requirements. Our ProgRes® Firewire cameras are supported on the operating systems Windows, Linux and MAC. Only our ProgRes® USB cameras are NOT supported on MAC and LINUX. Can I reuse old calibrations with new software versions? Double-click onto the “ProgRes® CapturePro“-Icon on your PC desktop, or select the software from the item “Programs“ in the start menu. The application software will be started and a window „Reuse of old version data“ will be opened automatically. When a preceding version of ProgRes® CapturePro has been installed before on the computer, a dialog appears requesting you to select what shall happen to the data of the older version. In the upper area, you can select the type of data from the older version. The selected data types will be affected by the actions. Decide later: nothing happens to the old data, however this dialog will appear again when the software is started until a selection is made. Reuse data in the actual version: the selected files of the older version are integrated into the new version, and are available when the software is operated. Ignore old data: the old data are ignored. They will not be used in the new version. Check manually: no action is carried out. The files can be copied manually to the new version if necessary. What shall happen to the old data? When “Remove“ is marked, the data will be removed from the older version. Note: This dialog appears only if an older version of ProgRes® CapturePro has been installed on the computer. Note: If you would like to display the dialog again, even if you have already selected another action, click the button “Options“ in the register tab “Tools“. Refer to chapter 7.3.7.4.2 “Options“ for further information. Why is the firmware update not workable under Windows Vista/ Windows 7? It’s caused by the firewire bus resets done by Windows VISTA/ 7. Please connect your ProgRes® microscope camera to another PC with operating system WIN XP and start the firmware update again. The firewire bus resets done by Windows VISTA/ 7 cause a retry of the update over and over again, without success. To solve the problem, please connect the camera to an other PC with operating system WIN XP and start the firmware update again. If you do not have the operating system WIN XP, please be informed that the old firmware is running with the new software. If an error message window will be opened with “The firmware is not up to date - Do you want to update firmware now?”, please tag „Don’t ask in future“ and choose “no” - if the software asks again. You are able to run the camera then with old firmware and new software. If you do not have the operating system WIN XP but you want to run your camera with the current firmware, please contact Service and Support Daniel Kaiser. How many ProgRes® microscope cameras can be connected to one PC? With the ProgRes® CapturePro software it is possible to use maximum 5 ProgRes® microscope cameras at the same time at one PC. The connection of 5 cameras to one notebook is also possible, if the notebook is equipped with the necessary interfaces accordingly. Where can I find the ProgRes® CapturePro calibrations? It is possible to transfer the CapturePro calibration files from your old/current PC to another/new PC. Please copy these files in the referred folder of your new PC. The measurement calibration file is "MeasureDef.xml"
Can I run the ProgRes® microscope cameras under 64 bit operating systems? Yes, you can run all ProgRes® Firewire cameras for microscopy under Microsoft Windows 64 bit operating systems. If you want to use your ProgRes® firewire camera on a 64 bit operating system, you have to install the ProgRes® CapturePro software version 2.8.0 or higher and the 64 bit version of the “Thesycon T1394 Firewire bus driver”. Further information to install the bus driver. How do I install the 64 bit T1394 Firewire bus driver? The “64 bit T1394 Firewire bus driver” is part of the ProgRes® CapturePro software installation. You have to install ProgRes® CapturePro software version 2.8.0 or higher previously. The Thesycon T1394 Firewire bus driver is located under “program files / jenoptik / ProgRes / driver / T1394BusDriver" on your HD. 2. Please select the host controller you want to update and click the button “switch to T1394bus driver" to install the bus driver. After acting out this procedure, all ProgRes® FireWire cameras should run well on Windows 7 OS with 64 bit. How can I avoid the problem “Error -1608: Unable to Create InstallDriver Instance” during installation? This error message is a message from Windows concerning problems during the procedure of installation. ”Error 1608” is a very system specific issue and is often caused by limited system privileges, incorrect DCOM settings, or another malfunction on the computer. Check to make sure that your DCOM settings are configured to allow full permissions to the users. This error usually occurs on Windows 95/98 if DCOM 95/98 are not installed or if they are not configured properly on the computer. To resolve this error message, download DCOM 95/98 from the Microsoft's Web site and install it on your computer. a) Save the file dcom.exe on your desktop. b) Double-click dcom.exe to install it. This issue is often caused when the Microsoft InstallScript engine is not installed on your computer. Where do the image interferences result from / What is „Image Tearing“ and how can „Image Tearing“ be eliminated? Image tearing refers to the display of images that appear displaced, defect or destroyed images. Image Tearing is caused by new generation processors using special energy saving modes. In these power saving modes so-called C-States-save modes are switched on or off so that the processor is set to the sleep-mode in order to save energy. In this way, the data transfer can be affected, which causes the mentioned effect. The error occurs in particular when higher data volumes are transferred, e.g. when high live image frame rates or high image resolutions are set. Image tearing has been seen on both laptop and desktop systems, and across a variety of hardware platforms and operating systems. As the power saving modes of the new processors are mainly used in combination with the operating systems Windows Vista and Windows 7, Image Tearing mainly occurs with these operating systems. 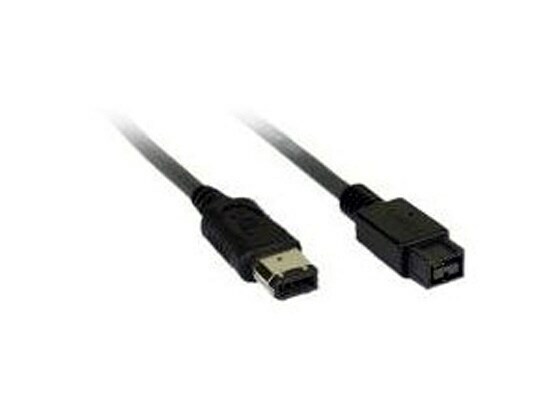 It is not specific to any particular system configuration, and has been known to occur with IEEE-1394a, IEEE-1394b and USB devices. A special windows „Power scheme“ with the name „High Performance with C-state disabled“ has been implemented in the software installation. The special power scheme deactivates all CPU energy save modes. The power scheme will be active only if the ProgRes® camera has been connected to the PC and the ProgRes® CapturePro 2.8.8 software has been started. Can I run ProgRes® Firewire cameras under Windows 7/ 8/8.1 and 10 operating systems? Yes, you can run ProgRes® Firewire cameras under Windows 7, Windows 8/8.1 and Windows 10 operating systems. The ProgRes® CapturePro software version 2.8.0 or higher delivers the new Firewire device driver "FireCamJ221" for Windows 7, 32 bit and 64 bit. The ProgRes® CapturePro software version 2.9 and 2.10 delivers the new Firewire device driver "FireCamJ230" for Windows 8/ 8.1 and Windows 10. Please assure that the latest Firewire device driver "FireCamJ221 or FireCamJ230" are used for ProgRes® Firewire cameras in the device manager. If not please select: “update driver” at the device manager to switch to the latest driver version. If you use a Windows 64 bit operating system you should install the ProgRes® Firewire bus driver "Thesycon T1394 bus driver". The Firewire bus driver is also part of the ProgRes® CapturePro V2.8.x installation. How can I fix the problem “Error – 1607: ...” occurred during software installation? This error message is a message from the Windows operating system arising if there are problems during the procedure of installation. This diagnostic tool “Fixit” will fix all known program installing and uninstalling problems automatically! After repair of the Microsoft InstallShield it is possible to install the software and the drivers for your ProgRes® camera on your PC. Is it possible to transfer the settings of the ProgRes® CapturePro software to another PC? 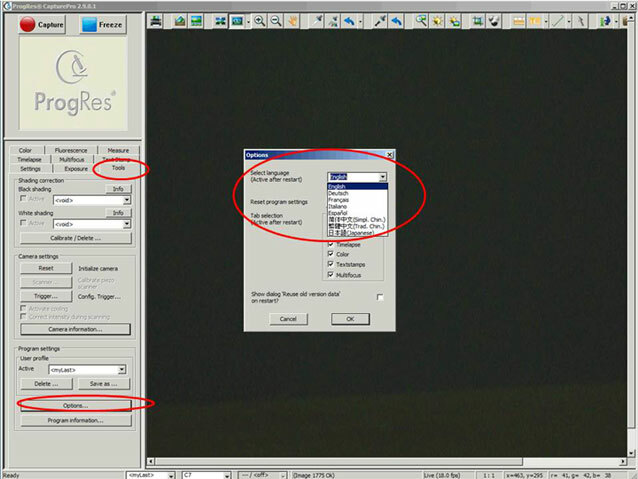 Yes, it is possible to transfer the settings of the ProgRes® CapturePro software to another PC. If you want to use exactly the same settings of ProgRes® CapturePro software on another PC, you have to copy the created *.CXP file to the same folder on the other PC. Then you can start the ProgRes® CapturePro software and you can select the new user profile from the profile list. Please note: If you are using an “user profile” in the ProgRes® CapturePro software, the ProgRes® CapturePro software starts always with the settings stored in the “user profile” and not with the last settings used before closing the software. Are you planning to change your operating system to Windows 7/ 8/ 8.1/ 10? Ensure you are using the special power scheme under "power options"
After that your ProgRes® camera should run under Windows operating system, otherwise please contact us. Are you planning to change your operating system from Windows XP to Windows 7? Ensure using the special power scheme under "power options"
After that your ProgRes® camera should run under Windows 7, otherwise please contact us. Where can I choose the languages of ProgRes CapturePro software GUI? In the tab "tools" you can select "options" and there you can choose your language. Note: This dialog appears only if an older version of ProgRes® CapturePro has been installed on the computer. If you would like to display the dialog again, even if you have a ready selected another action, click the button “Options“ in the register tab “Tools“. Refer to chapter 7.3.7.4.2 “Options“ for further information. Is it possible to display a live or saved image on full screen? Yes, this is possible. Please press F11. What is the default Gamma used by ProgRes® CapturePro Software? ProgRes® CapturePro is using a Gamma of 0.5. All ProgRes® drivers are using a Gamma of 1, therefore the images are darker in LabView and all other ProgRes® drivers. 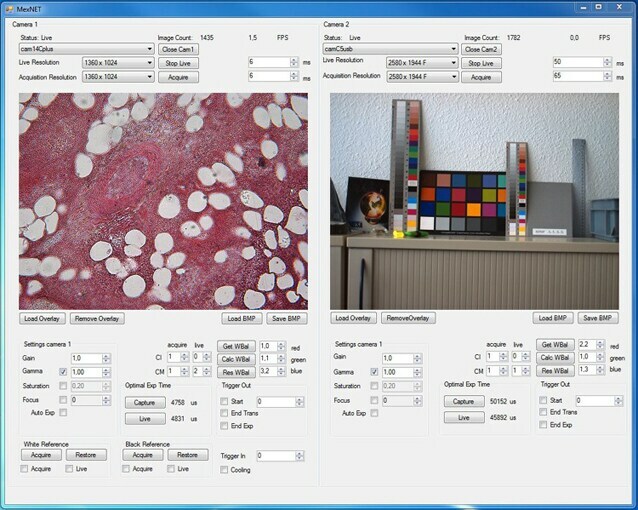 Jenoptik is using Gamma 0.5 in their image capture software ProgRes® CapturePro to improve the reproduction of colors and to make the colors closer to reality / closer to the microscope image (you see the colors with your microscope camera at the monitor just like you see the colors with your microscope ocular). To get Gamma 1, you have to set a Gamma of 0.33 in the CapturePro software. Jenoptik is using Gamma 1 for all ProgRes® drivers because it is better qualified for an analyzing software to use nearly raw images. Where can I find / open the ProgRes® CapturePro manual? The ProgRes® CapturePro manual is a part of the CapturePro software. See this screenshot. As well you can download the latest version of the user manual for ProgRes® CapturePro software at our website (after registration). 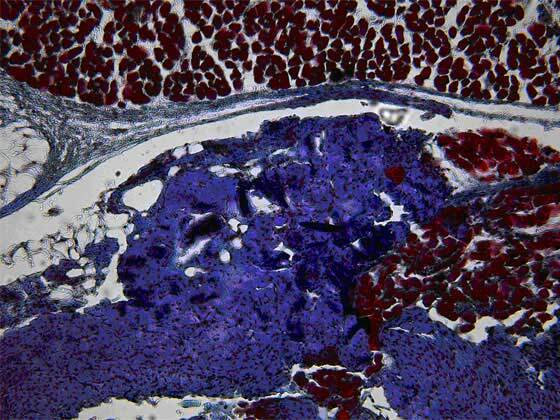 How can I improve the image quality of fluorescence images? 1. Please set the Gamma to "0.33" (this is a real Gamma of 1.0 – linear). 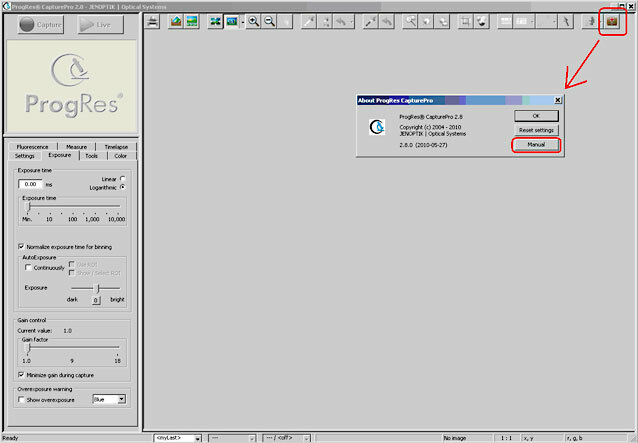 The default Gamma of ProgRes® CapturePro software is 0.5. 2. Please take care that black shading is created and activated. For detailed information regarding shading please use the ProgRes® CapturePro software user manual. (downloadable (after registration) here: www.progres-camera.com/microscope-camera/downloads_software.html. Can I save captured images in different target folders of the ProgRes® CapturePro software? Yes, it’s possible, you can use different storage places for captured images. In the user profile the storage place (target folder) will be saved for captured images. User profiles can be created and saved under the tab „Tools“. Where can I download the latest ProgRes® software / driver / manual? After registration you can download the latest ProgRes® software / driver / manual for free on our website at every time. To get your login data for the download of ProgRes® software / driver / manual, please register on our website. Please make sure to have your camera close, since you will need the serial number for registration. Please be informed, if we release a new version of ProgRes® CapturePro software or drivers, all registered customers will be informed automatically via newsletter, as far as they have chosen “yes” during the query for newsletter at their registration. Why will the Twain source be closed, although „close Twain source after capture“ has not been chosen in the tab „settings“ ? The invoking application has „the final say"! From the Twain source (CapturePro Software) the request „closed“ or „kept open“ can be sent to the hooting application merely. This hooting application can fulfill or ignore this request. "Adobe Photoshop" e.g. keeps the Twain source (CapturePro Software) always opened as standard. How can I create a white balance with ProgRes® CapturePro software? You can create a white balance by using the “white balance” function of the ProgRes® CapturePro software. At the first-time start of ProgRes® CapturePro software the white balance is not activated. By using the “white balance” button situated in the icon-bar the white point in the image can be identified and the white balance can be carried out. Furthermore the use of the „white balance“ feature is explained in detail in the ProgRes® CapturePro user manual. The user manual is available for registered users in our download area. Can I create a multifocus image with ProgRes® CapturePro Software? Yes, you can create a multifocus image with ProgRes® CapturePro Software in the register tab „multifocus”. Detailed information you can find in the description of the register tab. Furthermore the use of the „multifocus“ tool is explained in detail in the ProgRes® CapturePro user manual. The user manual is available for registered users in our download area. Can I create a multi-channel fluorescence image with ProgRes® CapturePro Software? Yes, you can create a multi-color fluorescence image with ProgRes® CapturePro Software in the register tab „fluorescence“. Detailed information you can find in the description of the register tab. Furthermore the use of the „fluorescence“ tool is explained in detail in the ProgRes® CapturePro user manual. The user manual is available for registered users in our download area. How can I create a measurement calibration with ProgRes® CapturePro Software? In the register „Measure“ you can create a measurement calibration for the lenses used by you. You can create a measurement calibration for the lenses used by you with ProgRes® CapturePro Software in the register tab „measure”. Thereto a measurement calibration scale is necessary, which is not included in the scope of delivery of ProgRes® CMOS & CCD microscope cameras. Detailed information you can find in the description of the register tab. Furthermore the use of the „measure“ tool is explained in detail in the ProgRes® CapturePro user manual. The user manual is available for registered users in our download area. How can I avoid the note „Attention: USB delivers not enough power“ during CapturePro start? This error message during the start of the ProgRes® CapturePro results from an insufficient power supply of the appropriate USB port, it does not deliver enough power to operate the ProgRes® camera. Please use always the original ProgRes® USB cable included in the scope of delivery and do not use any USB cable extensions. How do I update the ProgRes® camera firmware with the ProgRes® CapturePro software? Please find below the instruction to update the firmware of your ProgRes® camera with the ProgRes® CapturePro software. How can I use ProgRes® FireWire cameras on iMac or MacBook Pro with FireWire b (800) 9pin? How can I secure my measurement calibrations of ProgRes® CapturePro software (MAC version)? To save the created calibration data of your ProgRes® CapturePro software (MAC version), please copy the file "ProgRes25.plist” to a new and save this folder. If you have lost your measurement settings of your ProgRes® CapturePro software (MAC version), you can recopy this file to: ~/Library/Preferences/ProgRes25/ . New created measurement calibrations will be saved at "ProgRes25.plist" only after successfully close of the ProgRes® CapturePro software (MAC version). Is the Mac CapturePro software compatible with MAC OSX 10.8 (Mountain Lion)? Yes, it is compatible and you can install the Mac CapturePro under OSX 10.8 (Mountain Lion) as well as OSX 10.7 (Lion). During starting/opening the installation file „ProgRes Mac 2.7.6 Installer.mpkg“ you have to hold the „CTRL“ key of the keyboard. This is caused by the default security setting applied for OSX software installation. 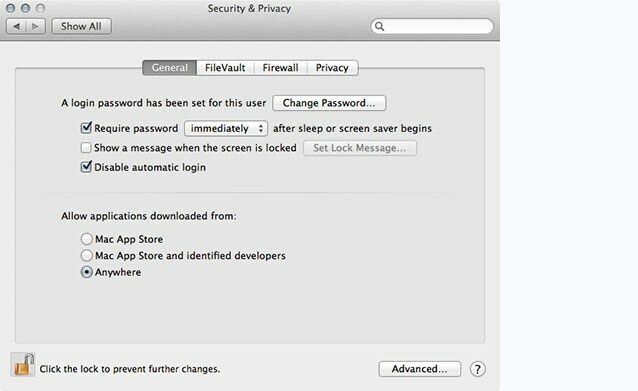 You can manually change the security level for software installation at the system preferences. A new ProgRes® CapturePro Mac software version supporting also this Mac hardware will be available soon. Can I connect a ProgRes® Firewire camera to a MAC computer with Thunderbolt interface? 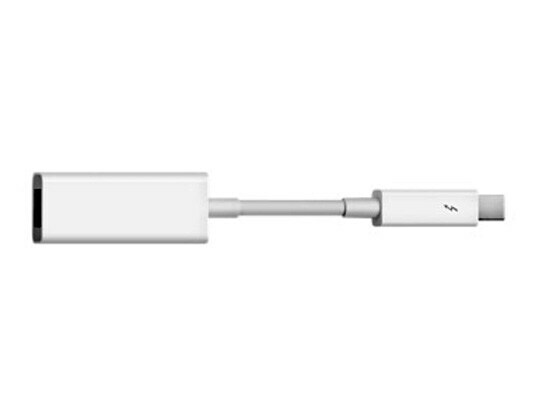 Yes, you can connect a ProgRes® Firewire camera to the latest Apple MAC computers with Thunderbolt interface. 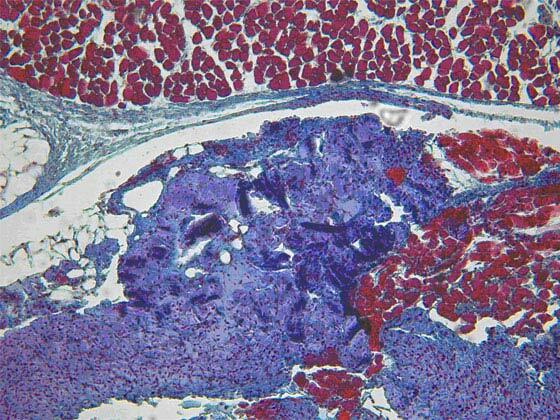 MediaCybernetics - Which ProgRes® microscope cameras can I run with Image-Pro image processing & analysis software of MediaCybernetics? Image-Pro Plus combines the latest tools for industrial imaging into one intuitive software package. Reflecting over 20 years of development, evolution, and user feedback, Image-Pro Plus accelerates discovery and includes the tools you need to easily acquire images, enhance images, process images, measure and share your images. You can find more information about Image-Pro driver at “Professional solutions for image analysis”. MediaCybernetics - Which installation instructions of the Image-Pro Plus driver for ProgRes® microscope cameras should I attend? MediaCybernetics - Which version of Image-Pro Plus software is supported by the Image-Pro Plus driver for ProgRes® microscope cameras? (with the following operating systems: WIN XP, Vista and WIN 7). MediaCybernetics - How can I display cross-hairs on a live image to align a specimen? With our ProgRes® ImagePro plus driver it is possible to display cross-hairs on a live image to align a microscopic specimen. Or you can write your own Macro according to this instruction. ImageJ - Can I run ProgRes® microscope cameras with ImageJ image processing & image analysis program? You find more information about ImageJ driver at “Specialized Software from External Partners". ImageJ - How do I install the ImageJ Mac or Windows driver? 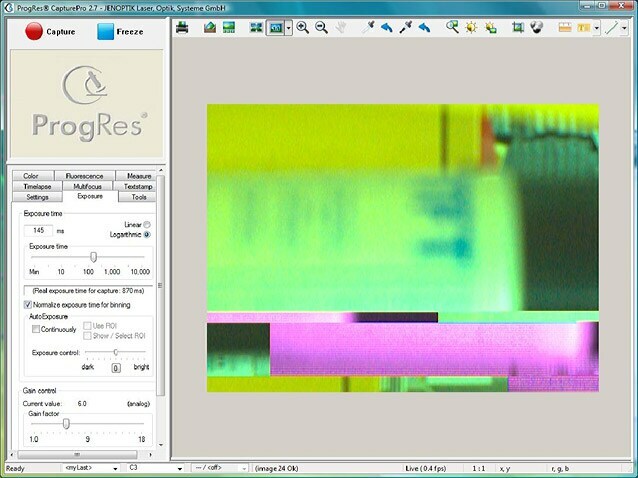 Micro Manager - Which ProgRes® microscope cameras can I run with the open source imaging software Micro Manager? You can find more information about Micro Manager driver at “Specialized Software from External Partners". Micro Manager - Which installation instructions of the Micro-Manager driver for ProgRes® microscope cameras should I attend? Please attend the following instructions if you want to install the Micro-Manager for ProgRes® microscope cameras. 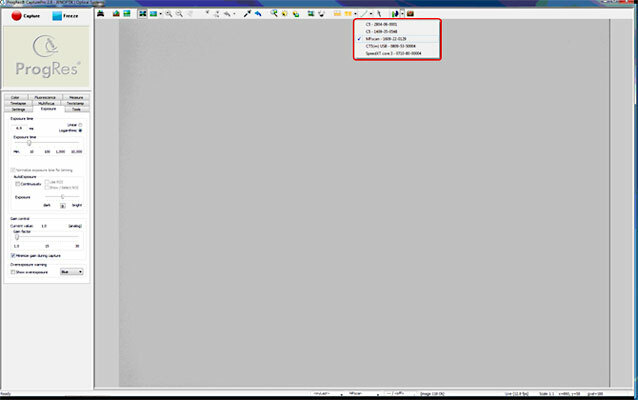 LabView - How can I run ProgRes® microscope cameras with LabView driver? The Jenoptik LabView driver includes a small and easy to use test program named “LabMex.vi”. Please note: the range of functions of this test program is limited. MetaMorph - How do I install the MetaMorph driver for ProgRes® microscope cameras? Please attend the following instructions if you want to install the (Molecular Devices) MetaMorph driver for ProgRes® microscope cameras. DirectShow - Which installation instructions of the DirectShow driver for ProgRes® microscope cameras should I attend? Please attend the following instructions if you want to install the DirectShow driver for ProgRes® microscope cameras. ActiveX - How can I evaluate ProgRes® microscope cameras with ActiveX driver? You can use the “MexNet” demo application to run ProgRes® microscope cameras with ActiveX driver for evaluation. MexNet is a simple application, written in C# to show some main features how to use the ActiveX control. Furthermore you can find detailed information at the ActiveX help file: "ProgRes.chm" and at the SDK help file "MexCam.chm" as well. The SDK help file "MexCam.chm" is part of the SDK packet as well under folder: Docu. For detailed information, please see the SDK documentation. Will a sample program be delivered with the SDK? Yes, the easy to use sample program „MexWin.exe“ will be delivered together with the SDK. Also the complete source code of „MexWin.exe“ test program is part of the SDK. Is there a documentation available coming with the SDK? Yes, there is a good documentation available. The SDK documentation is called „MexCam.chm“ and is part of the SDK. How can I eliminate possible implementation errors with the SDK? In order to eliminate potential implementation errors you can use „MexLogMan.exe“ logging program, which is part of the SDK, to track implementation errors. Can I run the Jenoptik MexWin 32 Bit SDK under Windows XP/ Vista/ 7 (64 Bit)? Yes, you can run the Jenoptik MexWin 32 Bit SDK under Windows XP/ Vista/ 7 (64 Bit). Because of structural limitations of the SDK (written in 32 Bit) it can be compiled only within a 32 Bit application..
For detailed information, please see the Jenoptik “MexWin” SDK documentation. Is a ProgRes® SDK supporting Windows 8 operating systems available? Yes, the new ProgRes® SDK PC Version 3.8 supports all ProgRes® microscope cameras and Jenoptik Imaging Modules under Windows 8 (32bit and 64bit) operating systems. Please contact us for further information and the download access data. There is the “MexWIN.Exe” sample program, the “MexCam.chm” SDK documentation as well as the „MexLogMan.exe“ logging tool available to eliminate any possible implementation errors. The “MexWin.exe” sample/ SDK test program enables you to try out nearly all functions supported by the SDK before starting the installation/integration. Code examples for “MexWin.exe” can be found in the „MexCam.chm“ documentation. The “MexWin.exe” test program can be found in the folder “Release” under “MexWin”. For more information please check the “MexCam.chm” documentation. Just search for “mexwin.exe” or “Hints for the use of MexWin.exe”. To eliminate respectively narrow down possible implementation errors, please use the new logging tool „MexLogMan.exe“. For more information please check the “MexCam.chm” documentation. Just search for “Logging” or “MexLogMan.exe”.